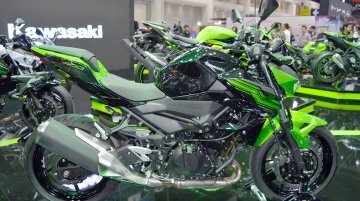 Kawasaki Motors Thailand has showcased the all-new Z400 naked streetfighter at the ongoing Thai Motor Show 2018 in Bangkok (29 November to 10 December). 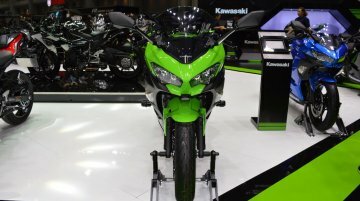 The Kawasaki Z400 made its world premiere at.. The Kawasaki Z400 naked roadster is reportedly under development, according to leaked ‘emission documents’ of two motorcycles. 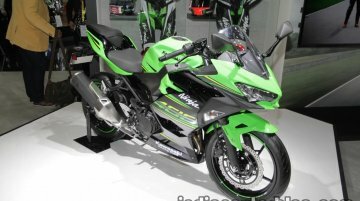 The company has filed emission documents for the Kawasaki Ninja 400 and.. According to a post from Kawasaki Bengaluru showroom, a customer has received delivery of the first Kawasaki Ninja 400 in South India. 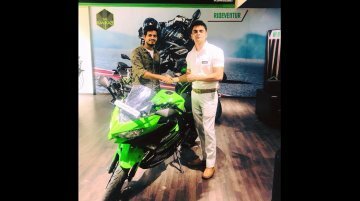 The bike keys were handed over to the proud owner of the Ninja..
Anzen Kawasaki, the Japanese brand’s authorised dealership in Mumbai is offering a INR 20,000 discount on the Kawasaki Ninja 400, if the customer does the booking this month. 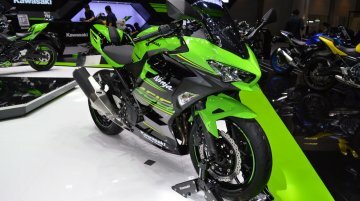 Kawasaki launched its much-hyped sports tourer, the Kawasaki Ninja 400 recently. Let’s see how it goes up against the 2018 Yamaha YZF-R3 on paper. 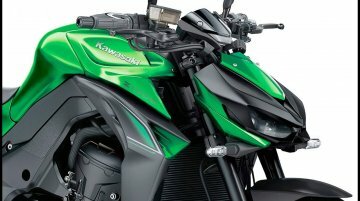 India Kawasaki has launched the much-awaited middleweight motorcycle, the 2018 Kawasaki Ninja 400 in India. The bike has been priced at INR 4,69,000, ex-showroom Delhi. It is assembled at Kawasaki's p.. 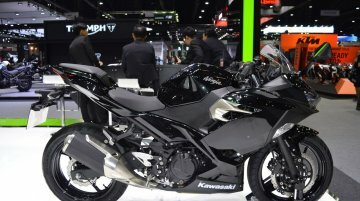 The Kawasaki Ninja 400 KRT Edition and Metallic Spark Black colour variant have been showcased at the 2017 Thai Motor Expo. Here are the live images of the motorcycles. Kawasaki launched the.. 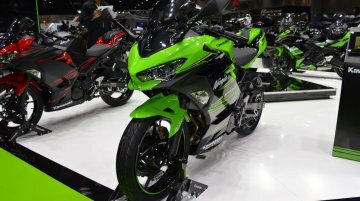 The 2018 Kawasaki Ninja 400 has made its global debut at the 2017 Tokyo Motor Show today. Here are the live images of the bike from the show. 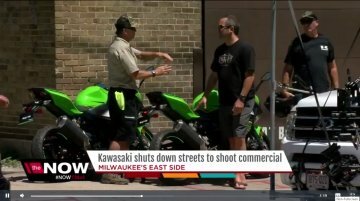 The design of the 2018 Kawasaki Ninja 400 is..
A faired Kawasaki motorcycle was recently spotted by TMJ4 news channel while out for a commercial shoot. The motorcycle in question is the next-gen model of the Kawasaki Ninja 400. The current..